Cocoa there are analogues of vitamins "the Alphabet"
What are the vitamins in the series of "Alphabet"
"Milgamma" is a multivitamin means. It contains vitamins of group B. it is Proved that this drug has a beneficial effect on the human nervous system, has analgesic effect, improves blood circulation, stimulates the regeneration of nervous tissue. The basic components of all modern drugs with vitamins belonging to group b are thiamine (vitamin B1), pyridoxine (vitamin B6) and cyanocobalamin (vitamin B12). Perhaps the most famous of them at the moment is "Milgamma". It is produced by German firms in the form of tablets and solution for injection. In addition to the aforementioned vitamin components, the composition of the solution for injection comes with lidocaine, which helps make the injection less painful. The composition of the tablets includes a derivative of vitamin B1 - benfotiamine and pyridoxine. Vitamin B12, or cyanocobalamin, is missing. 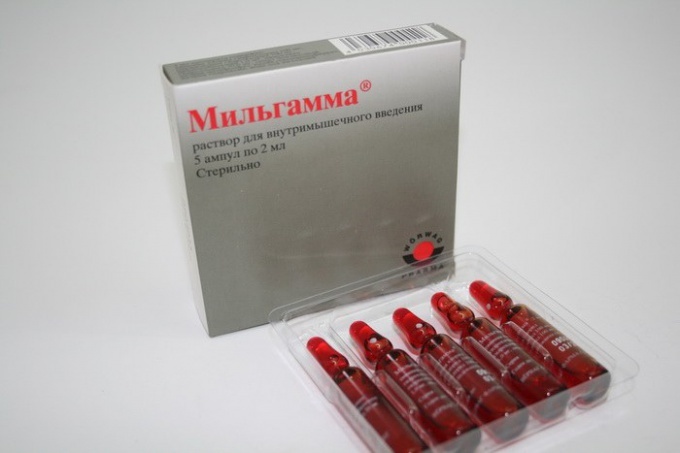 However, in the modern market in recent years, a huge number of analogues "Milgamma". As a rule, their composition is identical, with the exception of additional components. The most common ones are "Neurobion", "Neuromultivit", "Combilipen and Compliant". Likely to get the drug "Trilemma". The composition of the solutions for injection "Combilipen and Compliling" coincides with the "Milgamma". Drug "Neurobion" has a completely similar vitamins, however, lidocaine does not contain. Pills Neuromultivit include normal forms of vitamins B1, B6 and B12, not their conformational shape, as in the bean "Milgamma". However, despite minor differences in their composition, these drugs have a beneficial effect on inflammatory and degenerative diseases of nerves and musculoskeletal system. Besides, people who are constantly exposed to stress and physical stress, the b vitamins are needed in large quantities. It should be noted that these drugs can cause adverse reactions such as sweating, tachycardia, acne, allergies. It is known that vitamin b was opened in Poland by the academic Kazimir funk. It was originally isolated as a separate compound, but after conducting some research, it became clear that the complex of substances. In addition, it was found that it carries very important functions. Being in the body in normal quantity, these vitamins are responsible for the correct functioning of the nervous system. In addition, they contribute to the growth and reproduction of body cells. It is proven that b vitamins should be used in the form of complex, rather than individually, thus their efficiency is much more pronounced.